When Allegiant Air’s planes started failing more and more, the Federal Aviation Administration could have cracked down. It didn't. Times staff writers William R. Levesque and Anthony Cormier and researcher Carolyn Edds contributed to this report. Designed by Lyra Solochek and Lauren Flannery. On Allegiant Air’s worst night last year, mechanical breakdowns forced the airline’s planes to make one unexpected landing after another. One flight had to land in Mesa, Ariz., after the captain’s instrument panel started smoking. Another returned to Las Vegas when the tail compartment overheated. Another circled back to Mesa because one of its power generators started failing. Another diverted to Idaho Falls when a fuel pump malfunctioned. Before the night was finished on June 25, 2015, five Allegiant flights had been interrupted in four hours, all because different planes had failed in midair. The Federal Aviation Administration collected records on all of the incidents. But it didn’t order a single corrective action. In 1996, ValuJet 592 took off from Miami, caught fire and crashed into the Everglades, killing all 110 people on board. After the crash, some federal officials branded the FAA with a harsh nickname. They called it the “tombstone agency,” and decried it as an unwieldy bureaucracy that was slow to crack down unless spurred by disaster. Again and again in the past 20 years, auditors for the U.S. Department of Transportation have chronicled the FAA’s struggles to police the airline industry, pointing to staffing problems and a failure to analyze key data. The FAA’s dealings with Allegiant Air — a low-cost carrier run by a founder of ValuJet — are a case study in those struggles. A Tampa Bay Times review of hundreds of pages of federal records shows that the FAA levied no fines and took no other enforcement action against Allegiant despite dozens of midair breakdowns in 2015. The FAA has broad powers to ensure airlines are operating safely, including the ability to issue fines, ground air carriers and launch sweeping investigations. But the agency took none of those actions in response to Allegiant’s mechanical problems last year, even as the airline’s planes were breaking down at the highest rate of any major U.S. carrier. It didn’t fine Allegiant or subject the airline to stepped-up monitoring after preventable maintenance errors by Allegiant contractors nearly led to a serious accident in Las Vegas in August 2015. And FAA inspectors didn’t even interview a pilot who was fired for ordering the evacuation of a plane in St. Petersburg in June 2015, even though such firings can be a signal of a corporate culture in need of scrutiny. Responding to the Times’ findings, the FAA declined to address any incident specifically. Instead, an FAA spokeswoman emailed a statement to reporters saying the agency works hard to ensure air travel is safe. In interviews with the Times in October, Allegiant officials said the FAA is constantly monitoring the airline and that the company works to have a good relationship with the agency. But a review of more than 5,000 pages of audit reports by the federal transportation department’s inspector general showed breakdowns in the FAA’s monitoring of airlines. One lesson the FAA drew from the ValuJet crash was that inspectors needed a better way of keeping tabs on how airlines operate. The agency pledged to use data to focus attention where it was needed most: on trends within airlines that hinted at possible future safety problems. The FAA poured more than 15 years and tens of millions of dollars into building such a data system but never got it to work properly. The agency replaced it two years ago. Now the agency uses an approach that, according to eight former FAA employees interviewed for this story, amounts to allowing the airlines to police themselves. The U.S. airline industry is widely seen as operating one of the safest systems of air travel in the world. There have been no fatal crashes of U.S. passenger jets since 2009. But former federal officials interviewed by the Times said the system is pressing its luck by essentially allowing airlines to self-regulate. They added that monitoring the politically powerful airline industry is often a frustrating job. They said it’s fraught with the dangers of angering company executives, who complain to members of Congress, who complain to FAA administrators, who discourage or even punish diligent regulators. The FAA’s passive approach was on display during a chain of events involving Allegiant in the past three years. In September 2013, FAA inspectors found Allegiant’s maintenance programs were deficient, among other things. Records obtained by the Times show the FAA said it would bar Allegiant from adding routes, buying new planes or growing in other ways until the company corrected the problems. Allegiant agreed. The FAA took no enforcement action. In December 2013, an Allegiant MD-88 went to Oklahoma City for an overhaul from the airline’s main maintenance contractor. Before it was finished, a worker signed off on an engine inspection without noticing that a key part — a cotter pin — was missing from the fuel delivery system. A day after the plane went back in service, it took off from Fargo, N.D., loaded with passengers. It was in the air only a few moments before the right engine, flooded with fuel, started revving uncontrollably. The pilot had to shut it down and make an emergency landing back at the airport. The contractor, AAR Corp., reported the mistake to the FAA. The agency allowed Allegiant and AAR to do their own review of the incident, records show. Allegiant promised not to let the offending AAR employee sign off on future Allegiant repairs. The FAA was satisfied with the company’s response. It issued no fines and took no other enforcement action against the airline or the contractor. In May 2015, an Allegiant MD-83 was getting an overhaul by AAR when another worker signed off on a tail repair. He didn’t notice that, once again, a cotter pin was missing from a rod that connects the tail to the pilot’s flight controls. In the course of the next 261 flights, during which the plane carried tens of thousands of passengers, the tail rod slowly worked its way loose until, on Aug. 17, 2015, it jammed in a steep climb position as the plane was roaring toward take off in Las Vegas. A hundred and sixty-four people were on board. Feeling the nose of the jet pressing up hard, unable to force it back down, the pilots slammed on the brakes at more than 100 mph. That night, federal records show, an Allegiant manager sent a text message to an FAA inspector responsible for overseeing the airline, alerting him to the problem. The FAA and Allegiant both reviewed the plane’s maintenance records and concluded the contractor was responsible. In response AAR, said it would require an additional inspector to sign off on repairs of critical parts. Satisfied with AAR’s response, the FAA inspector closed out the case. That was the full extent of the federal investigation. The FAA issued no fines and took no other action. A spokeswoman for AAR declined to comment for this story. The company still is Allegiant’s main maintenance contractor today. Those weren’t the only examples in recent years of the FAA’s lenient approach.The Times identified a handful of other incidents that could have prompted action by the FAA but did not. At least 12 times in 2015, Allegiant had three or more flights end in mechanical breakdowns in a single week. During a single four-day period in June, the airline had 10 flights end in unexpected landings caused by mechanical failures. The FAA has struggled with turnover in the office that oversees Allegiant for at least the past three years. But a particular staffing change should have raised a different sort of flag, said Tom Devine, legal director of the Government Accountability Project, a Washington-based whistleblower advocate group. Devine said the situation points to a larger problem with the agency. He said “revolving door appointments” can lead to inspectors going easy on the companies they police either because they don’t want to anger prospective employers or because former colleagues are intervening with them on the companies’ behalf. In a phone interview with the Times, Tutora said there was nothing improper about his hiring. He said he only oversaw Allegiant for about nine months, while temporarily filling a vacancy left by an inspector who had retired. He said that, before retiring, he met with an FAA ethics officer who told him he was free to work for Allegiant so long as he remained behind the scenes and didn’t represent the company in dealings with the FAA. He said his job consisted of managing how the company’s maintenance side reacted internally to requests and communications from the FAA. He added that Allegiant’s maintenance operations were as sound as any airline’s he had ever come into contact with. “These guys are passionate in the maintenance and engineering branches about safety, mitigating risk and not doing anything stupid like cutting corners or doing anything that would possibly harm the company, or anybody in it, or outside of it,” said Tutora, who retired from Allegiant in April. The firing of an Allegiant captain in July 2015 marked another hands-off moment for the FAA. Six weeks earlier, Jason Kinzer had been piloting a flight from St. Petersburg to Hagerstown, Md., when flight attendants reported smelling smoke in the cabin. He circled back to St. Petersburg and, believing passengers and crew were potentially in danger, ordered them off the plane. Eight people were hurt in the scramble that ensued. Allegiant fired Kinzer for ordering “an evacuation that was entirely unwarranted,” according to a copy of the termination letter obtained by the Times. That firing should have drawn FAA scrutiny, said Loretta Alkalay, an aviation attorney who spent 30 years as a regional counsel prosecuting enforcement cases for the FAA. She said thorough federal inspectors would have at a minimum interviewed the pilot and his coworkers. Kinzer told the Times last month that no one from the FAA has contacted him. He sued Allegiant over his firing in November 2015. His lawsuit still is pending in Nevada. In April, amid mounting publicity, the FAA began a review of Allegiant’s operations that originally wasn’t scheduled to happen for another two years. It gave the airline more than a month’s notice. By the time the FAA began the review, Allegiant already had tapped a former top FAA official who could help guide them through the process. Against a backdrop in which the FAA rarely cracks down, and airlines want to avoid accidents at all costs, consultants like Nick Sabatini play a key role in getting airlines to make their operations safer. After spending about 18 years as a New York City police officer, Sabatini joined the FAA in 1978. He rose to associate administrator for aviation safety, a top official in charge of regulating airlines. He was still in that position in 2008, when a scandal broke involving Sabatini’s section of the FAA. A safety inspector monitoring Southwest Airlines discovered the carrier was operating dozens of planes that were overdue for safety inspections, including at least one that had a potentially dangerous crack in its fuselage. But when he reported his findings to his supervisor, the supervisor allowed Southwest to keep the planes flying — even though the problems were uncorrected. The inspector turned whistle­blower, focusing attention on what he termed Southwest’s widespread noncompliance with federal rules. The allegations prompted outrage and congressional hearings. At the height of the scandal, Sabatini testified before the House Transportation and Infrastructure Committee, saying he was “outraged” at what had occurred. He added that the FAA did not require safety inspectors to operate in a way that formed excessively close relationships with airlines. Three of the committee’s members later alleged that statement was misleading. He retired less than a year later. But records show he wasn’t out of the aviation business for long. Sabatini, who didn’t respond to requests for comment, incorporated a consulting firm in 2009 and immediately starting working for airlines and other businesses that potentially were in trouble with aviation authorities. He led a meticulous internal review for Colgan Air after a plane operated by the regional carrier crashed in February 2009 near Buffalo, N.Y., killing all 49 aboard. He was called in after an Air France flight crashed into the Atlantic Ocean off the coast of Brazil, killing 228. The Reno Air Racing Association hired him after a World War II fighter plane crashed into a crowd gathered at a Nevada air show in 2011, killing 11 and wounding 66. In 2013, he went to work for Allegiant Air. After the FAA inspections that year, Allegiant executives hired Sabatini to review the airline’s operations. In an interview, Allegiant’s leaders told the Times he assembled a team of former FAA employees to study how Allegiant ran its airline. They said his team reviewed Allegiant’s practices and made suggestions for improving communication among the company’s departments. He also evaluated its staffing levels and recommended they invest more money in their operations. They said he returned in 2015 to check on the company’s progress. Then, as the FAA was beginning its latest examination of Allegiant in April, the airline brought him back. Allegiant officials declined to describe what Sabatini’s team found during that visit, other than to say he identified more ways that Allegiant could improve and the company was putting them into practice. The FAA cited Allegiant for only minor problems. The No. 1 engine experienced a catastrophic failure due to a separated high pressure turbine (HPT) 2nd stage blade. The separated blade subsequently damaged the HPT 2nd stage nozzle vanes, remaining HPT 2nd stage rotor blades, and all four stages of the low pressure turbine (LPT). Metallurgical analysis of the HPT 2nd stage blades that separated below the platform concluded that the first blade to separate failed due to a high cycle fatigue crack that originated from an area of corrosion on the convex side. Six additional blades separated below the blade platform at high cycle fatigue cracks that had transitioned to overload due to impact damage from the initial blade release. The remaining blades in the HPT 2nd stage separated above the blade platform due to overload consistent with secondary impact damage. Multiple blades that separated above the blade platform also had fatigue cracks present below the blade platform that originated from areas of corrosion. The corroded areas contained elements including: sulfur, sodium, potassium, and phosphorus, which are common corrosive elements. The source of the corrosive elements could not be identified. The engine water wash schedule was reviewed and according to GoJet Airlines, water washes are performed on their CF34-8C engines every 1,200 flight hours, or when engine trend data shows performance degradation. GE currently recommends water washing the engine at every -2A check, or about 1,600 flight hours. A GE service bulletin applicable to CF-348C engines is scheduled to be released in the first quarter of 2018 that increases the water wash interval to 2,000 flight hours or when engine trend data shows performance degradation. The probable cause of the uncontained No. 1 (left) engine failure was a separated high pressure turbine 2nd stage blade that failed due to a fatigue crack that originated below the blade platform from an area of corrosion. On November 29, 2016, about 0850 central standard time, a GoJet Airlines Bombardier CRJ700, N367CA, equipped with two General Electric (GE) CF34-8C5B1 turbofan engines, experienced an uncontained No. 1 (left) engine failure during cruise (FL 340). The crew reported hearing a loud noise from the back of the airplane immediately followed by a No. 1 engine roll back and flame out. The crew declared an emergency, diverted to Lambert-St. Louis International Airport (STL), and made an uneventful single engine landing. The flight was being operated in accordance with 14 Code of Federal Regulations Part 121 and was a regularly scheduled flight from Cincinnati/Northern Kentucky International Airport (CVG) Covington Kentucky to Denver International Airport (DEN) Denver, Colorado as a Delta Air Lines connection. There were no reported injuries to the passengers or crew. There was no damage to the airframe. A penetration was observed in the No. 1 engine low pressure turbine (LPT) case, but the released debris did not penetrate the engine nacelle. The incident engine, engine serial number (ESN) E965352, was shipped to Delta TechOps in Atlanta, Georgia for examination and disassembly. The LPT case had a penetration located at the 8 o'clock position, about 1 inch aft of the LPT flange, coincident with the high pressure turbine (HPT) 2nd stage rotor plane of rotation. The case material around the penetration was curled radially outward, away from the engine. Seven HPT 2nd stage blades were found separated below the blade platform and the remaining 61 blades exhibited impact damage and were separated above the platform at random locations along the blade span. Impact and thermal damage were observed on all four LPT rotor and nozzle stages. The complete set of 68 HPT 2nd stage rotor blades were sent to the GE materials laboratory in Lynn, Massachusetts for analysis. The seven blades that separated below the blade platform were all fractured at the shank upper radius and the fracture surfaces exhibited visual evidence of high cycle fatigue originating on the convex side from areas of corrosion. The 61 blades that were separated above the platform all failed due to overload, consistent with secondary damage. Of the 61 blades separated above the platform, multiple blades had corrosion and fatigue cracks present below the blade platform in the same general area as the blades that separated below the platform. The blade material composition and hardness levels met drawing specification. The LPT case was sent to the GE materials laboratory in Evendale, Ohio for visual examination and material analysis. The case material composition and hardness levels met drawing specification. The LPT case penetration fracture surfaces had ductile dimples consistent with overload. The NTSB materials laboratory reviewed both GE reports and concurred with all findings. This is preliminary information, subject to change, and may contain errors. Any errors in this report will be corrected when the final report has been completed. NTSB investigators traveled in support of this investigation and used data obtained from various sources to prepare this aircraft incident report. On November 29, 2016, about 0850 central standard time, a GoJet Airlines Bombardier CL600-2C10, N367CA, equipped with two General Electric CF34-8C5B1 turbofan engines, experienced an uncontained No. 1 (left) engine failure during cruise (FL 340). The crew reported hearing a loud noise from the back of the airplane immediately followed by a No.1 engine roll back and flame out. The crew declared an emergency, diverted to Lambert-St. Louis International Airport (STL), and made an uneventful single engine landing. There were no injuries to the passengers or crew. The flight was being operated in accordance with 14 Code of Federal Regulations Part 121 and was a regularly scheduled flight from Cincinnati/Northern Kentucky International Airport (CVG)- Covington Kentucky to Denver International Airport (DIA)- Denver, Colorado. During a visual inspection of the No. 1 engine at STL a hole was observed in the turbine case but the released debris did not penetrate the nacelle. The engine was removed from the airplane and shipped to Delta TechOps in Atlanta, Georgia for examination and disassembly. BOISE (KBOI) — Police reports obtained from the suspicious incident at the Boise air traffic control tower last month indicate odd behavior from the controllers. Around 2:30 a.m. on Nov. 19, helicopters called the Boise FAA air traffic control tower requesting to land, however, they got no response. Boise Police officers went to the tower for a welfare check to make sure everyone was OK. In all of the reports police wrote the men in the tower were fine health-wise, but were behaving very strangely. On top of seeming inattentive, police officers describe the tower employees as apathetic to the situation. Every officer’s report mentions smelling marijuana at some point while in the tower. The FAA said both employees passed a drug test but they are continuing to investigate. KBOI 2News submitted a request under the Freedom of Informations Act for all of their findings once the investigation is complete. 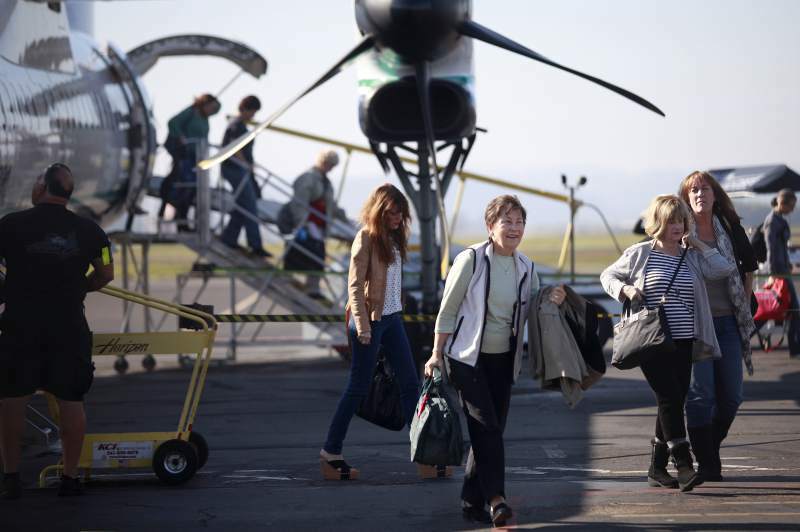 The Santa Rosa airport had another busy month in November, based on newly released figures. The number of passengers flying through Santa Rosa’s Charles M. Schulz–Sonoma County Airport in November dropped slightly from October, but was up 30 percent over last year, according to numbers released Dec. 15. The latest report also reveals that total passengers flying in and out of the airport in November was 29,219 compared with 30,980 in October, and 21,732 a year before. For the year to date, passengers have totaled 312,211 up from 240,129 in 2015. More flights, fuller planes on Alaska Airlines and second carrier Allegiant Air has helped boost airline travel. Las Vegas-based low-cost airline Allegiant began flights between Santa Rosa and Las Vegas and Mesa in May. Allegiant reported 3,877 passengers in November with a load factor of 65 percent, and 25,733 passengers for the year. Although Allegiant will cease flights to Arizona on Jan. 2, American Airlines will begin service as the third carrier at the Santa Rosa airport with service to Phoenix Feb. 16. In November, Alaska Airlines reported 25,408 passengers with a load factor of 80 percent. For the year, Alaska’s ridership is up 19.5 percent, at 240,129. The load factor for the airport — how full the seats were on each plane — was 80 percent year to date, up 1.3 percent, so the airport saw a slight increase in ridership as well. In November, there were 225 arrivals and departures. MILLER COUNTY, Mo. — A manhunt took officers through rough terrain, but the suspect was arrested thanks in part to guidance from the air. On the afternoon of Dec. 14, 2016, the Miller County Sheriff’s Office requested assistance from the Missouri State Highway Patrol in apprehending a male subject who fled on foot from a domestic disturbance in Kaiser. Troopers from the Lake of the Ozarks area responded to the scene. The Patrol’s helicopter 90MP was also requested to respond. Upon arrival, the officers began searching an area on Blue Ridge Road. A trooper and local citizen spotted the subject running through a wooded area. 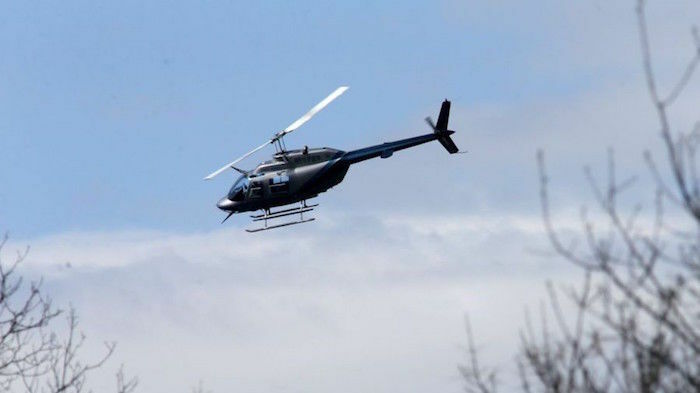 At approximately 2 p.m., a Patrol Bell 206 helicopter arrived on scene. After searching the area, the pilot and the tactical flight officer located the subject in a wooded area. The helicopter crew monitored the subject throughout the 40-minute foot pursuit in difficult terrain, directing officers to his location. The subject was taken into custody without incident. The individual's name has not yet been released. The Cherokee City Council, at their Dec. 13 meeting , voted 3 to 2 to provide a guarantee of a loan of $150,000 from Iowa Lakes Electric Cooperative to the Cherokee Aviation Authority (CAA) to help finance replacement of a hangar with a new hangar. The old hangar has been torn down and the new hangar is expected to be constructed next year. The total cost of the project is about $600,000 and is being paid for through a $229,000 grant, some reserve funds of the CAA and the loan. The guarantee makes it possible to get a 2 percent interest rate on the loan. CAA representatives explained that the intent was to get the old hangar torn down right away so that construction could begin in the spring rather than wait and rebid the project, likely at a higher cost. Jim Agnitsch, Will Miller and Emily Johnson voted for the motion to guarantee the loan. Chad Brown and Wayne Pingel voted against the motion. The city is adjusting its Oak Hill Cemetery policy regarding beautification, extending it beyond Memorial Day and focusing on general decoration rather than individual plot beautification. Last July, the council adopted an ordinance regarding past donations given to the city to place flowers on Memorial Day weekend. Notice was given to the public that the principal had long been spent on most of the donations. At the Dec. 13 meeting, the council approved a resolution to purchase 30 display pots and 18 display poles. There are 12 display poles already in place. The resolution also called for the annual purchase of 30 flower displays subject to annual appropriation. The first year cost will be approximately $4,000 with the second year cost about $1,500. The funding source is a special care fund. The council voted to approve a resolution to declare a city lot west of 414 Valley View Drive to be surplus property and authorize sealed competitive bids to be accepted. The council fixed a date of Jan. 10, 2017 for a public hearing regarding a proposed amendment to the Cherokee Urban Revitalization plan. Under the amended plan, multi-residence buildings (3 or more residences) will receive a full exemption of the taxes on the increased value of the property after construction or renovation for 10 years. Single family dwellings currently are entitled to a five year exemption of taxes on the increased value starting at 100 percent and decreasing each year. The amendment calls for a 100 percent exemption all five years. The council approved water revenue capital loan notes not to exceed $850,000 for a line to improve water access and reliability in the southern part of Cherokee. The matter had been discussed extensively at previous council meetings and was passed without comment at the Dec. 13 meeting. The council postponed action on a proposal to purchase an aerial fire truck to the Dec. 27 meeting. The council install a valve in a water line serving the high school and declare the line a service line. The valve installation will be at city expense. The council approved a demolition bid for 330 East Main of $5,740 and for 432 East Willow of $7,622.50. The same bidder was the sole bidder for each of the projects. 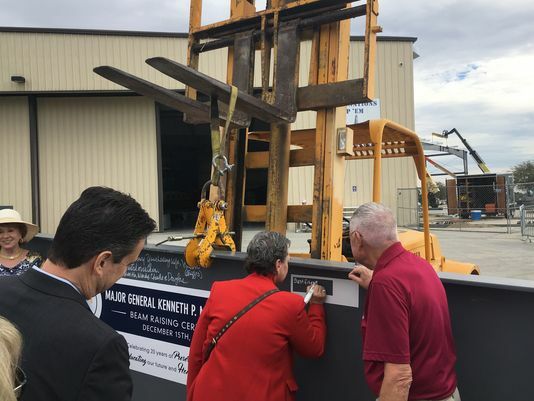 A massive I-Beam which will become part of the new Kenneth P. Miles Korean and Vietnam War Hangar at the Palm Springs Air Museum, was signed Thursday, Dec. 15, 2016 by museum supporters. Vintage planes sit on the tarmac at the Palm Springs Air Museum Thursday, Dec. 15, 2016, during a "beam-signing" ceremony ceremony for the Kenneth P. Miles Korean and Vietnam War Hangar. Before the massive I-Beam could be hoisted into place for the construction of a new hangar at the Palm Springs Air Museum, it needed a few signatures. Karen Miles, wife of Ken Miles – who the new hangar is named after – lead the way as numerous supporters, board members, volunteers and others signed their name to beam, signaling another chapter in the years-long process to build the Kenneth P. Miles Korean and Vietnam War Hangar. Kenneth Miles, who is now deceased, was a major donor and advocate for the Palm Springs Air Museum. “I know Ken would be so thrilled to see this,” said Karen Miles. “There’s been a lot of heavy lifting. The board, the volunteers, I can’t say enough,” remarked Dan Gilbertson, chairman of the Palm Springs Air Museum. The $2.25 million, 20,000 square foot hangar – nearly 100 percent privately funded, thanks to generous donations from Miles, the H.N. & Frances C. Berger Foundation, Toyota of America, the Sher family and other supporters – will house vintage aircraft and artifacts from the Vietnam, Korean and Cold War eras. Among the exhibits planned for the air museum’s third hangar – the museum’s Pacific and European hangars feature World War II-era aircraft and artifacts – is a POW/MIA display. Spearheaded by longtime museum volunteer Dave Thompson, this exhibit will feature the 500 Vietnam era POW/MIA bracelets donated to the air museum since the program was instituted in February 2015. The Bradford Regional Airport Authority on Wednesday approved the 2017 operating budget that shows income and expenditures balancing out at $573,418. Despite increases in insurance costs for health and disability, airport liability, commercial auto, professional liability and commercial property coverage, the spending plan actually is $26,348 lower than the current budget. Other increases in expenses are projected for gas and electricity, while water and sewage fees are projected to remain unchanged, as are terminal and building repairs and runway and field repairs. In the income column, the intergovernmental funding shows a decrease. Income for the airline, hangar, and restaurant, ramp service, tenant utilities and Federal Aviation Administration rentals are slated to show no change from 2016. A decrease in expenditures is shown for the Labor-Administration and Operations category due to savings realized from employment of part-time workers. In other news, figures for Southern Air Express, the low-fare airline providing daily service from Bradford to Pittsburgh International Airport, continues to be impressive. Since no authority meeting was held in November due to lack of a quorum, Ryan Dach, Bradford station manager for the Mid-Atlantic Region for Southern Air Express, released figures for October that showed 434 outbound and 411 incoming passengers, for an average of 16.25 passengers per day. Of the 105 scheduled flights, 101 operated for a 96.2 percent completion factor. The four flights were cancelled due to weather. The November numbers showed 348 outbound and 362 incoming passengers, an average of 13.65 passengers per day. Ninety of the 99 scheduled flights operated, a 91 percent completion factor. Six of the nine cancelled flights were weather-related, while one was due to maintenance and two were listed as operations cancellations. Not only is Southern Air Express posting good numbers at Bradford, but the Memphis-based airline is now offering service in Harrisburg, Johnstown, Morgantown, W.Va., and Baltimore-Washington International Airport. Service from DuBois is to begin Jan. 3. In his report to the authority, engineer Brian Wolfel noted the new door project for the Forest Oil hangar is still in the design stages. Later in the meeting, authority members approved an engineering agreement with GAI Consultants in the amount of $69,650.84 for this work. 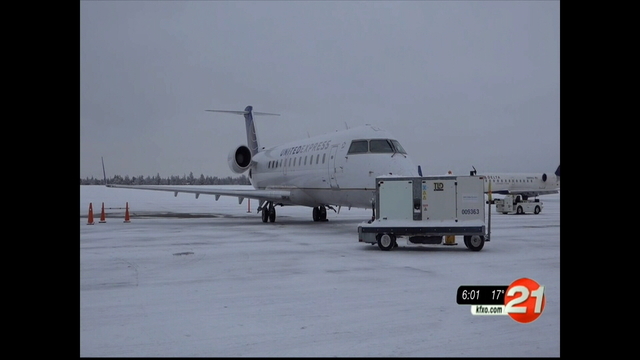 Redmond, Ore. - The Redmond Airport was bustling with travelers again Thursday, a day after all flights were canceled due to the extreme weather. One passenger said she received text messages about her flight status, even though her flight remained on time. The runways and taxiways have all been cleared of snow. Although the first flights of the day Thursday were canceled, the first plane took off around 9:30 a.m., with only a few minor delays since. "We issue what are called 'NOTAMS,' a notice to the airmen, that the pilots are expected and required to check. 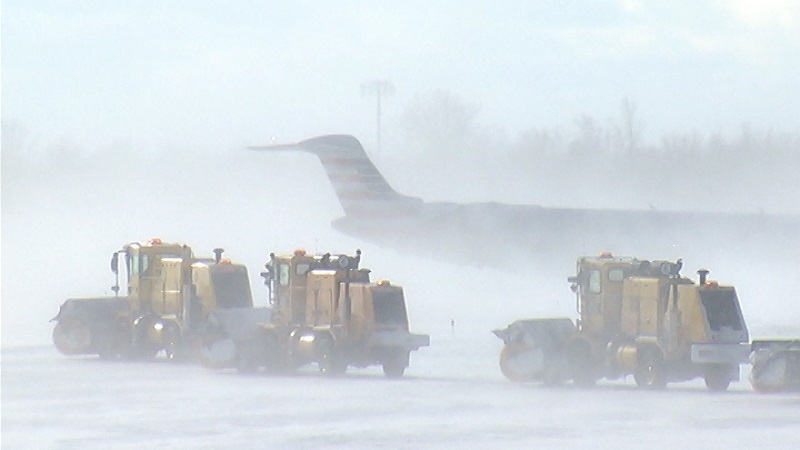 Those NOTAMS update pilots on everything from surface conditions, weather conditions, what the contamination source is on the ground, what's been plowed, and what kind of de-icers have been applied," said Aviation Program Manager Nettice Honn. "Any pilots flying in and out of the area are well informed as to the conditions here on the ground." The individual airlines decide whether it is safe enough for their planes to land or take off, and ultimately, the pilot in command makes the final flight decision. The Redmond Airport is tasked with keeping the runways clear and safe for the planes to land or take off. Each airline is also responsible for de-icing their own planes. "We began shifts at 3 a.m. yesterday (Wednesday) morning, prior to the actual snowfall," Honn said. "We were laying down de-icer and clearing the pavement, [continuing] through the weather event, just keeping up on the pavement, so as the visibility improved the aircraft could come in and land." 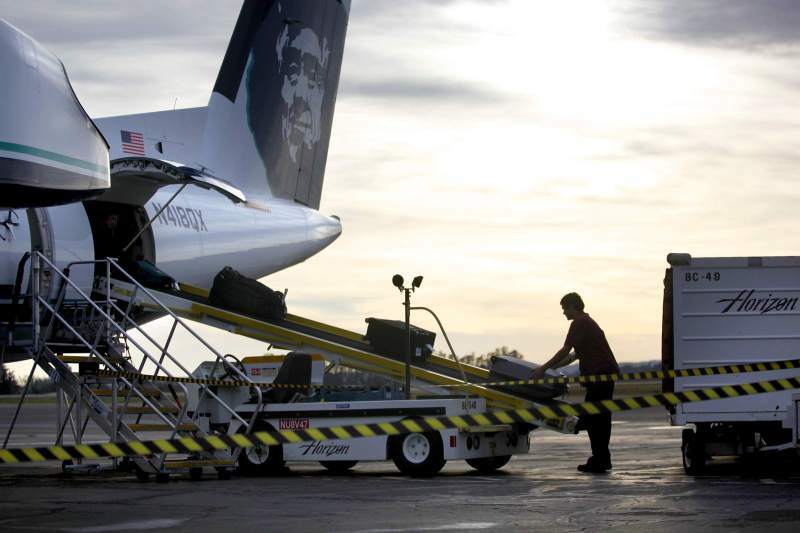 Horizon Air RDM Customer Service Manager Jim Cook said the biggest danger to planes from extreme weather is from the conditions on the ground, not in the air. "The aircraft is designed to fly in cold temperatures and precipitation, so while there is some risk in the air, it is very minimal," Cook said. "The real risk is on the ground, [because] the aircraft has to be free of contamination prior to the take-off." Several passengers said their airline had given them plenty of notice on their cancellation status Wednesday, though many had to wait a full day until they could jump onto another outbound flight. However, most passengers remained patient and understood the violent nature of the storm. Overall, a positive attitude was kept by many travelers. No one was hurt after a plane taxied off the runway at the Greater Rochester International Airport early Thursday afternoon, airport officials say. We're told there were only three passengers in a non-commercial Piper Meridian. It went off the runway just after 1 p.m. on Thursday. Officials say the accident didn't impact any commercial flights. The aircraft was towed back to base. Rochester, N.Y. (WHAM) - Airport officials said no one was injured Thursday after a plane taxied off the runway at the Greater Rochester International Airport. Three souls were on board the plane, according to airport officials. The plane, a non-commercial Piper Meridian, taxied off the runway and onto the grass around 1:50 p.m.
Crews that were on the tarmac were able to secure and tow the plane away. 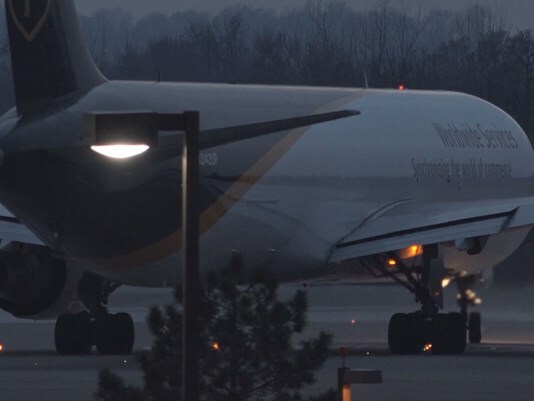 LOUISVILLE, Ky. (WHAS11) — With the Holiday Season in full swing, UPS as always is stepping it up, and packages are flying worldwide and around the clock. It takes a lot of focus to fly a plane, but the UPS pilots union, the Independent Pilots Association, says many of its members are being pointed out in a dangerous way. People on the ground are lighting up their cockpits with long-range laser pointers. The effects, however, can be, “all the way up to flash blindness,” Cason warned. Impaired vision for a pilot is a recipe for disaster. The Federal Aviation Administration says stats on lasing aircraft are taking off. Figures as of November 12 have incidents at 6,110 nationwide for the year, 187 across Kentucky and 52 in city of Louisville. Hitting an aircraft with a laser is a federal crime. Anyone caught faces up to five years in prison and a maximum penalty of $11,000 per violation. EL CAJON (CNS) - The pilot of a light sport aircraft with engine trouble made a non-injury emergency landing at Gillespie Field Thursday. The single-engine Sport Hornet had just taken off from the El Cajon general-aviation facility when the malfunction occurred about noon, according to the Federal Aviation Administration. 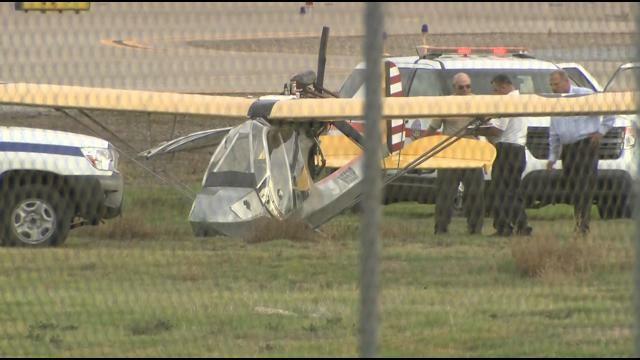 The pilot set the small aircraft down in a grassy area on the grounds of the airport. "There is only minor damage to the plane,'' FAA spokesman Ian Gregor said. The airplane is registered to a man who lives in the Crest area of eastern San Diego County, according to federal records. Before winning a lucrative Essential Air Service contract, Boutique Air promised a different experience than the now-defunct SeaPort Airlines. Besides better planes and customer service, Boutique is set to offer another service SeaPort had long abandoned — security checkpoint-free experience at Portland International Airport. Representatives from Boutique and the Port of Portland both confirmed that Boutique customers would be able to bypass Transportation Security Administration screenings when going to and from Portland. Pendleton’s Eastern Oregon Regional Airport did away with TSA screenings several years ago, and although SeaPort flights to and from Portland initially enjoyed this privilege, TSA checkpoints were added in 2012 when SeaPort started using the main terminal, adding another 45 minutes to an hour to some passengers trips. What will make a TSA-free experience possible is Boutique’s partnership with Atlantic Aviation, a fixed-base operator with a hangar on the Portland International Airport grounds but outside the main terminal. Michelle McNulty, Boutique marketing and community manager, explained how the set-up will work in an email. “We will be providing shuttle service from the FBO [Atlantic Aviation] to the main PDX terminal (and vise versa),” she wrote. “This shuttle will be run by Boutique Air. The passengers that are traveling into PDX via Boutique Air will be able to request the shuttle once they land (from a customer service) agent and will be driven to the main PDX terminal. With only a half-mile separating them, Port of Portland spokeswoman Kama Simonds said there’s a walking path between the Atlantic Aviation hangar and the main terminal for those who choose not to use the shuttle. Simonds said Atlantic Aviation also has a rental car service on-site. Boutique’s Dec. 19 service start date is welcome news for Pendleton’s business community, which had to endure several months of no commercial flight service from Pendleton. 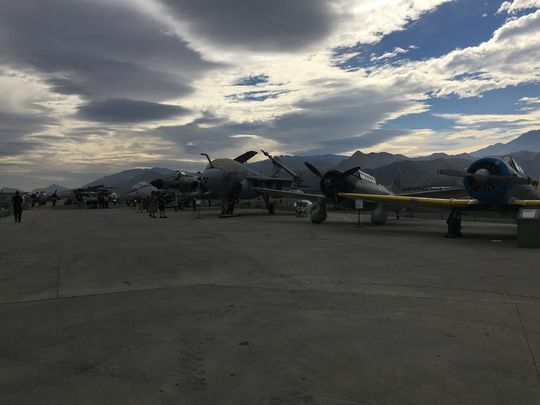 Pendleton Chamber of Commerce executive director Gail Nelson said air service is especially utilized by government agencies like the InterMountain Education Service District, which often need to attend conferences and meetings in Salem. During the gap in coverage, Nelson said the chamber solicited interest to charter a flight between Pendleton and Portland, but the idea never gained enough traction.